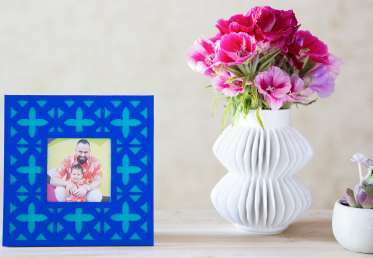 Amber of Damask Love shows how easy it is to make a custom-carved wooden frame with your Cricut Maker. The handy knife blade tool allows you to make woodworking magic by precisely cutting out a template in the Cricut Design Space. After cutting out the basswood pieces, Amber shows how to paint them in cheery shades and insert a favorite photo. 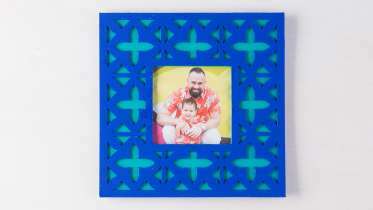 These frames make thoughtful, showstopping gifts – especially when you tell the recipient that you made the frame yourself. 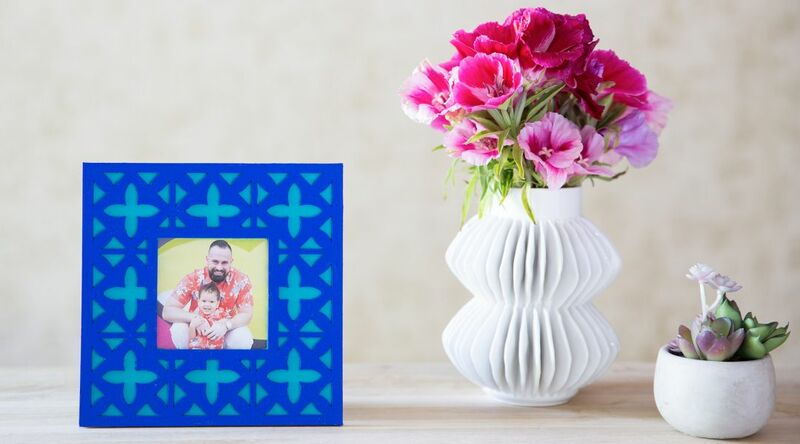 Detailed instruction on how to make a carved basswood frame using a Cricut Maker.